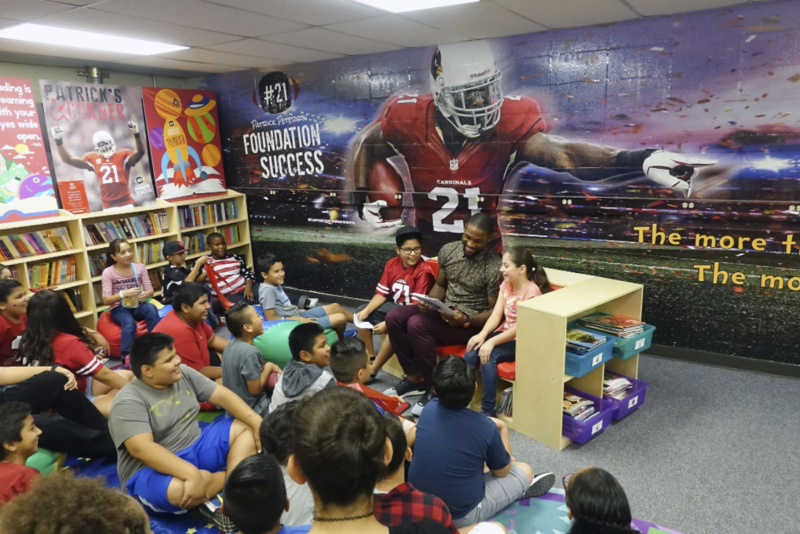 7x Pro Bowler Patrick Peterson’s play on the field has made him one of the NFL’s highest profile stars. 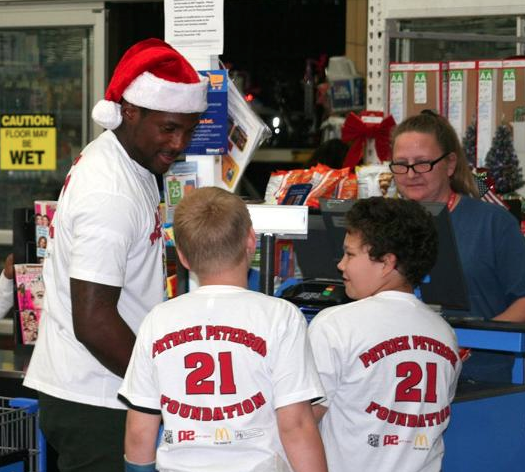 Patrick has used his status to give back to the community through his foundation and various charitable contributions. 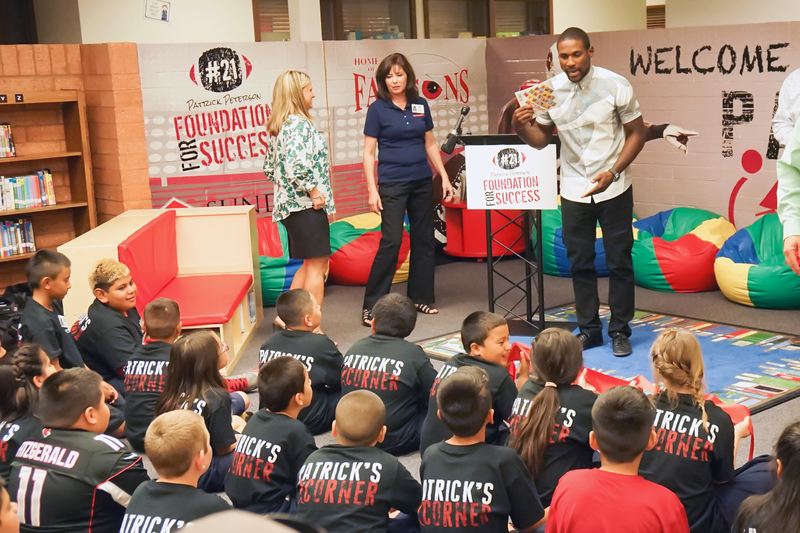 In 2012, Patrick founded the “Patrick Peterson Foundation for Success”, which aims to provide low-income and inner-city youth with opportunities and resources to reach their full potential. The foundation hopes to implement an excellent balance for community development through a variety of programs, events and charitable initiatives held throughout the year. 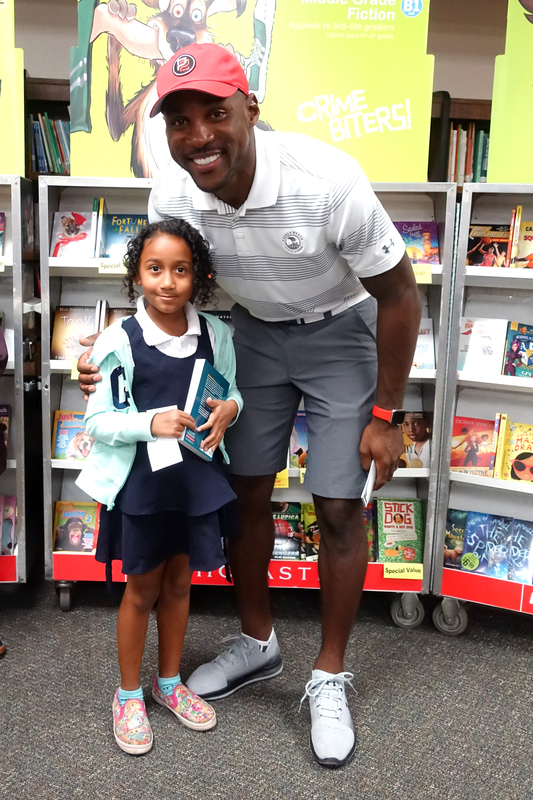 Patrick’s Corner is a program provides at-risk students access to books and a fun reading environment through placing libraries in Title I schools and inner-city community centers. Each corner is furnished with bookshelves, beanbag chairs, a reading module, audio library, and a stereo listening center– providing access to 1,200 age-appropriate books and serving as a dedicated area where students and their families can read, learn and explore together. 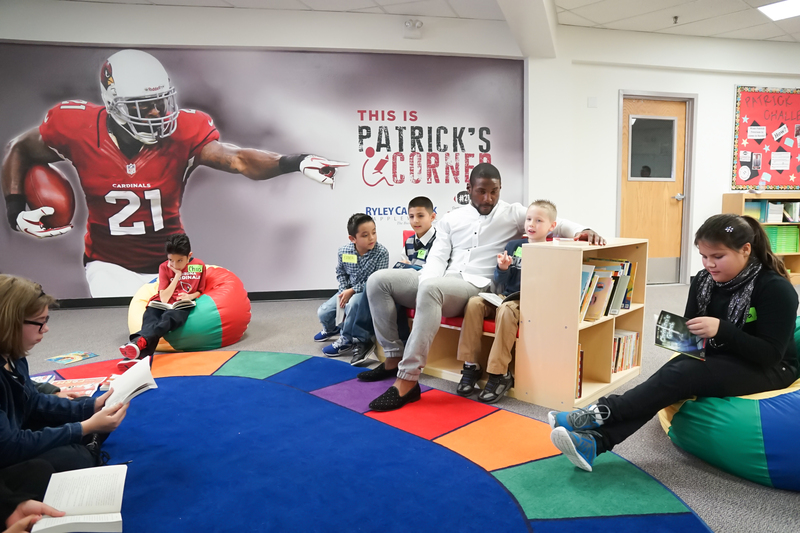 11 schools have received Patrick’s Corners since development. 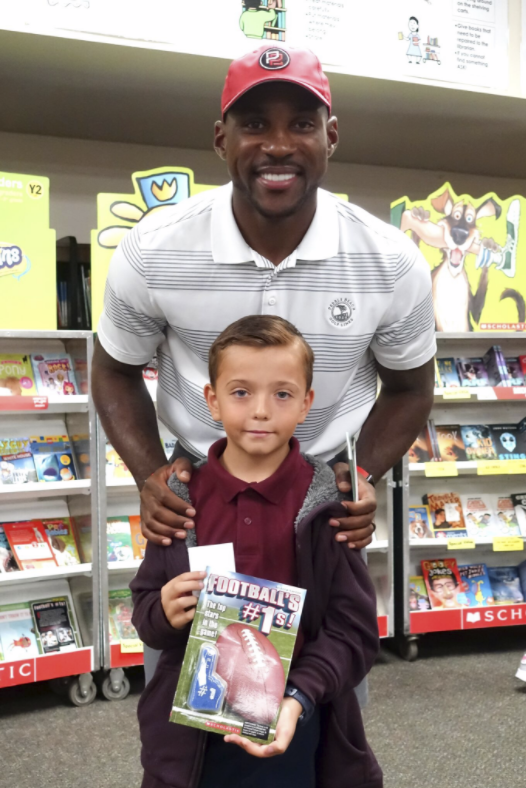 Pick Out a Book is a Scholastic Book Fair that aims to bring families, schools and communities together to support children’s literacy development. 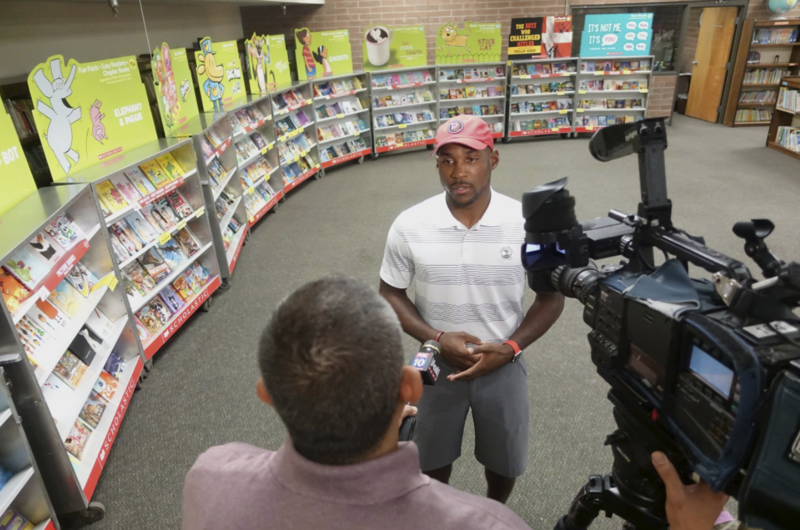 In partnership with Scholastic, the program will work to 1) help families foster the skills, attitudes and behaviors that support children’s literacy and development, 2) help schools engage families through fun, literacy-based events, and 3) better prepare children for reading and learning via supporting schools with their family engagement goals. With the help of Santa, Patrick hosts Shop with a Jock – a festive holiday event for low-income and at-risk inner-city families, who would, otherwise, have a very limited Christmas, if any at all, at a Phoenix- area retailer where they receive a pre-bagged holiday meal and a unique holiday shopping experience.